Industry-leading innovations from Kochava have saved advertisers millions of dollars. Industry-leading innovations from Kochava have saved advertisers millions of dollars. What would it look like for you to save even 1% of your ad budget by using fraud mitigation tools from Kochava? Or to recognize a 1% lift in your campaigns via our Configurable Attribution, Influencer Reporting, or View-Through Attribution features? 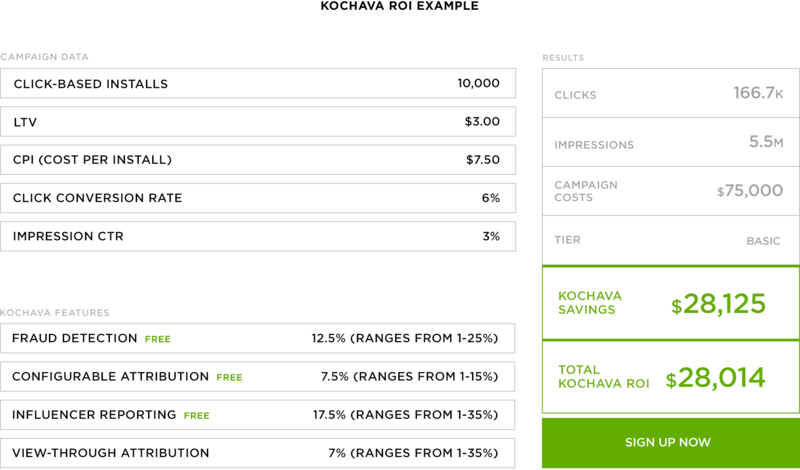 Take a look at the following examples of advertisers’ real experiences using Kochava attribution and analytics, then decide if you’re ready to take the 1% Challenge.